Your home can be as safe as houses with a Quality Glass GRP composite door. The security of your home and loved ones is vital. A Quality Glass composite door gives you the peace of mind you need. A standard PVCU door can be kicked open with a single, well-aimed kick. You cannot do this with a Distinction Doors composite door. 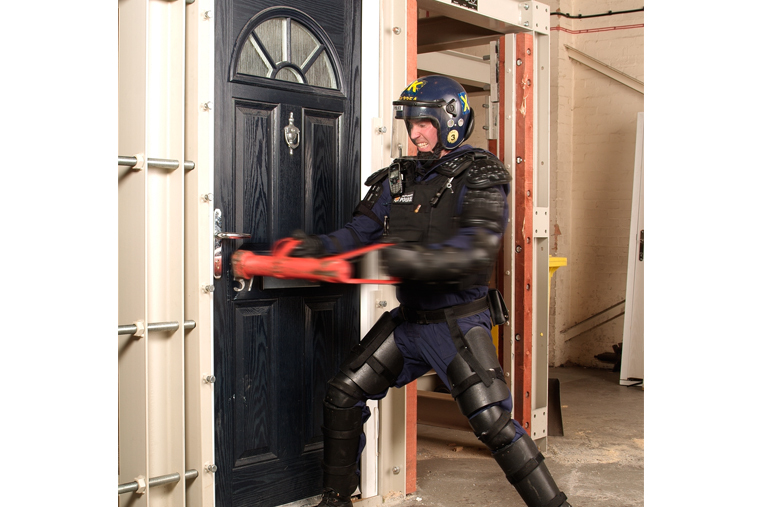 In fact, even with the aid of a police battering ram, the door cannot be forced within a reasonable timeframe. Why are Quality Glass GRP composite doors so secure? The Quality Glass door has proven its pedigree to pass the rigorous PAS 24 2012 Enhanced Security, receiving Secured by Design endorsement, which is the official Police initiative designed to design crime out.